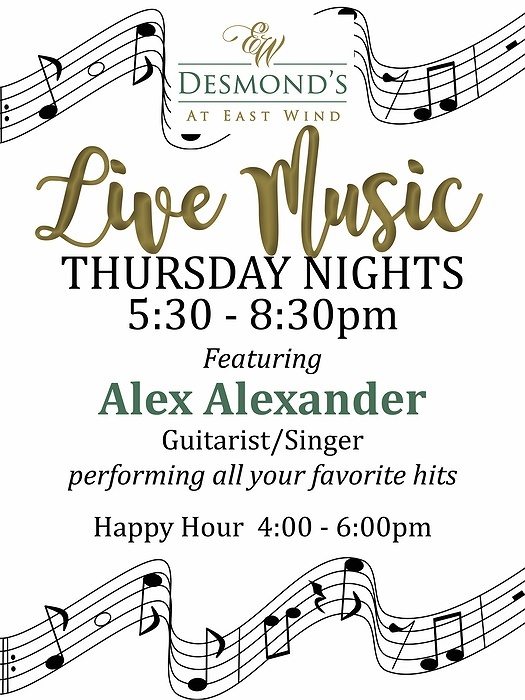 Subject: LongIsland.com - Your Name sent you Event details of "Live Music Thursdays at Desmond's"
We are bringing you live music every Thursday evening from 5:30 - 8:30 featuring singer/guitarist Alex Alexander performing all your favorite hits. Happy hour 4:00 - 6:00 pm. See you here!